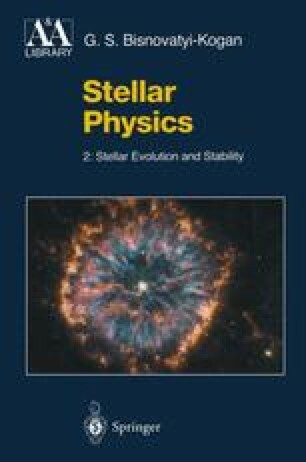 After seminal studies , the calculations of stellar evolution have been performed by various groups of researchers in a wide mass range with use of increasingly more powerful computers. There is presently (2001) a general understanding of the nuclear evolution of a star from the main sequence to a white dwarf, neutron star or black hole formation. However, although much effort has gone into solving these problems, we now have but a crude evolutionary scheme, and many details are not sufficiently reliable. The results of calculations made by diverse authors, though qualitatively similar, differ in detail. A major reason is the uncertainty in most of the physical grounds of the stellar evolution theory, such as convection, mixing, rates of nuclear reactions at low energies and others. This might also be due to computational difficulties arising from the accumulation of numerical errors which cause different numerical schemes for solving equations of static equilibrium, thermal evolution, and heat transfer (see Chap. 6, Vol. 1) to give different results sometimes. With regard to this last point the situation is less dramatic than in the theory of two-dimensional collapse where the use of different numerical schemes, e.g., Lagrangian or Eulerian, leads to qualitatively different results (see Sect. 7.3).